Activities Or Results, What Should We Do? It’s often hard to tell this, based on what we ask our people to do, or what we inflict on them. We know we have to do activities to produce results. For example, we have to do a certain amount of prospecting to find enough qualified opportunities to fill our pipelines. We have activities that are critical to moving deals through the pipeline, for example demos and many other things. We know there is a tie between the activities we do today and the results that are produced tomorrow. But too often, we lose focus. We forget we are trying to produce result or outcomes, and the focus becomes the activity itself. Too often, our people know that what they are doing is ineffective. After all, they are the one’s that see the emails being sent are “spammed,” or get angry customers on the phone. They see every day that much of the work they do doesn’t produce the outcomes they need–but they have to make their activity number, so they are forced to continue to do things they know don’t produce results. I know most managers don’t want their people doing stupid things, that don’t produce results, but in the rush of every day business, perhaps they aren’t paying attention. Perhaps, they aren’t involving their people in discussions, “Is this working? How do we make it work better?” Instead of taking the time to diagnose and correct what we are doing, we succumb to doing more. We continually focus on escalating volumes. “If email open rates drop by 50%, the way to fix it is double up on emails…..” What would happen if we change our thinking to understand why email opens have dropped and fix them. Perhaps we are targeting the wrong people, perhaps our messaging is wrong. Too often, we don’t understand the linkage between activity and outcomes. 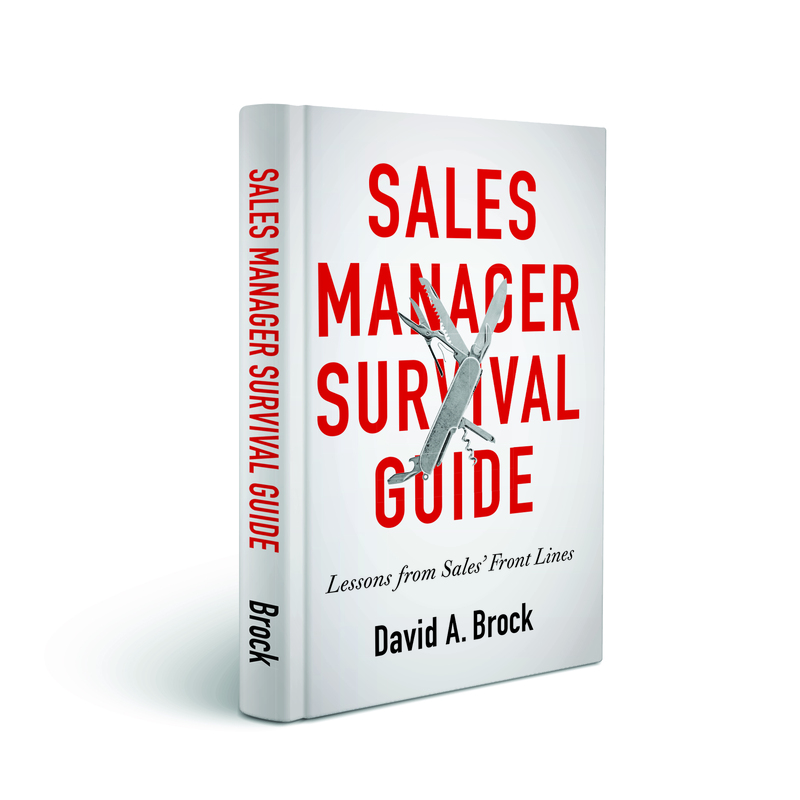 Just yesterday, I was involved in a discussion with a very good sales manager. He is looking at some new programs and ways to ramp up the business. He had a thoughtful plan, he looked at the key activities to drive results. “We need to do this many of this, then on those things, we need to do this many of that, ….. to produce a sale.” He had thought through the activity streams, had made some assumptions about the outcomes of each activity and what needed to be done to drive a result. After he described the plan, I responded, “It looks great, but here’s the problem. If you do this and produce the results in each activity, you will only make 60% of your plan.” The problem is, he like most managers was designing the process backwards. 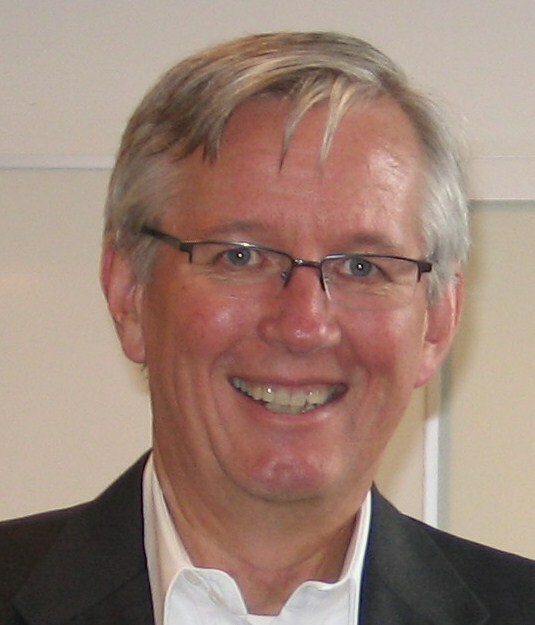 He started with prospecting activities, then drove the activity chain through results. But he hadn’t looked at it in reverse, starting at the end, working backwards to understand the number of each activity required to produce the results. I see this all the time, managers and sales people don’t understand the linkage between activities and outcomes. They don’t trace these through the entire selling process to understand if they are doing enough to produce results. Activities and results are critical. We have to do the right activities to produce results. We have to understand the entire activity chain to see if they produce the numbers. We can only do that by working backwards. We have to continue to inspect the activities to see if they are producing the results expected. If they aren’t the solution isn’t necessarily do more, the solution is “are we doing the right activity?” Often, while it’s counter intuitive, doing less is actually better–if we’ve identified the right activities. 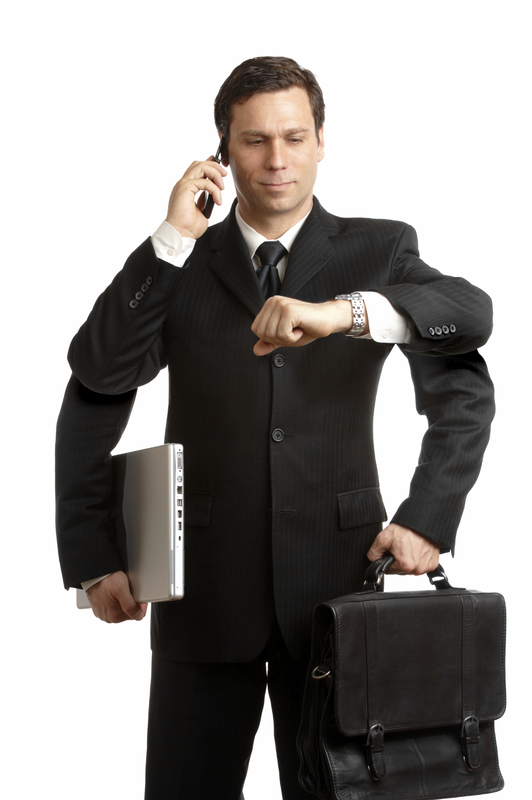 As an example, what do we want our sales people doing, 1000 emails, of which 1% produce the expected outcome. Or 100 emails, of which 15% produce the right outcome. I’ll leave it to you to do the math. 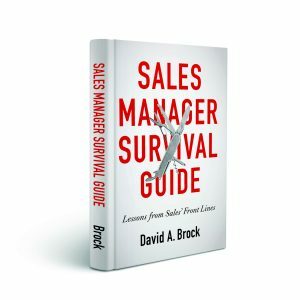 Afterword: As a shameless plug, in Sales Manager Survival Guide, we dive into this issue deeply, exploring “are we measuring the right things, are we producing the right outcomes, what do we do when they don’t” For a very detailed discussion, pick up a copy and study the chapters on Metrics. Is this really a question for some people, Dave? Seems pretty clear to me. I talk about Results, Activities, Methods (RAM). I’ve taught this to managers for years. Look at the results, look at the activities (and frequency) that produced them, and if improvement is needed, look closer at the methods (the quality of the activity) that produced (or didn’t) the results. Said another way – cause (activity) and effect (results), or lead (activity) and lag (results) indicators. Excellent book, btw. More soon on that. Mike, sorry for the slow reply. I know the answer is clear to you, it should be clear to everyone, but the reality is we see too much bad practice. The majority of my conversations with managers whose teams aren’t making their goals is because they haven’t taken the time to understand what activities, what quantity of activities, when/how executed drive results. They don’t work backwards from the desired outcomes to the things that produce those outcomes. It they did, we’d see pipelines that have high integrity–that have the right numbers–or specific action plans to get to the right numbers. We would see great connection between activity metrics and the results they produce, yet too often, the answers are “do more,” without figuring out which things have highest impact. So while it is obvious to many of us, the issue is it isn’t practiced as it should be. I think there is a tendency in some companies to reduce everything to some simple formula that can be tracked. Sometimes you just have to let a good sales person follow his instinct rather than fill in the boxes of the required steps. Great story Greg! The problem is people look at the numbers and the number becomes the goal itself. Instead, the numbers are just indicators, but we have to get under them to understand what they mean. We also can’t be slaves to the numbers. Thanks for the great story.